Persistent Pertussis: Why Won’t Whooping Cough Go Away? You’ve probably heard of whooping cough, that horrible uncontrollable cough that commonly affects newborn children. It’s real name is Pertussis and it’s an extremely contagious infection that can cause non-stop coughing and vomiting in people of all ages. Although a vaccine for whooping cough has been around since the 1940’s, the number of people with whooping cough in Australia is at an all time high, with cases almost doubling from 2015 to 2016. Infants are most at danger when it comes to whooping cough. About 90% of deaths caused by pertussis occur in infants under the age of 6 months. The constant coughing can block breathing and even lead to broken ribs. For as long as whooping cough has been around, medical research has been coming up with innovative ways to stop the spread of pertussis to newborn children. In Australia, newborns receive a vaccine called the DTPa vaccine, which protects against the diseases diptheria, tetnus and pertussis. Babies only receive this vaccine when they are 2 months old. Before then, the baby’s immune system is too weak to receive a vaccine. This leaves the baby vulnerable to infection during it’s first two months of life. 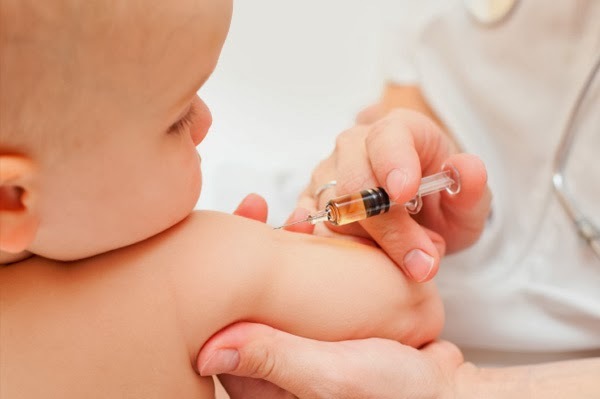 A study in the UK found that if mothers have a ‘booster’ vaccination while they are pregnant, their babies are 90% less likely to get whooping cough in the first few months of life. This is because the mother passes on some of her antibodies – molecules that protect her from whooping cough – to the unborn child. Although this is not the same as vaccinating the infant, it offers some defence during the first few months of the babies life. In Australia, mothers are now offered a free pertussis booster vaccine when they are pregnant, but there are still many mothers who choose not to get the booster. To protect infants from being exposed to pertussis, a new strategy has become popular in Australia. The strategy is known as “cocooning”, and it involves vaccinating family members of newborn children. This includes the babies parents, grandparents or even family friends. Giving family members a ‘booster’ vaccine protects the newborn from getting pertussis, because everyone the baby comes into contact with are now protected from the infection. The people around the baby form a ‘cocoon’ of protection, even though the baby is not vaccinated. We know that the pertussis vaccine dramatically reduces the risk of getting whooping cough. But the way vaccines work can be very complex, and there is still some debate about the pertussis vaccine. The pertussis vaccine has been available in Australia since 1942, yet we still can’t get rid of the disease! Some scientists believe that while the vaccine may stop people from getting the symptoms of disease- the awful uncontrollable coughing – it doesn’t actually stop people becoming infected with the bacteria and spreading it to others. We also know that most vaccines ‘wear off’ over time. Even though we have many effective and clever ways to stop the spread of pertussis, whooping cough is still very common in our community. Further research is needed to better understand how pertussis continues to spread through our vaccinated community, and how we can stop it for good. Next Next post: Is It Really Waste? The Case Of What Goes Into Our Green Bins.